Today is another fabulous TCP Tuesday and the theme is Tags. Ah... who doesn't love tags?! 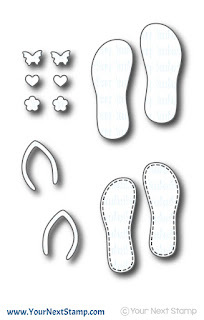 There are so many things you can do with tags. 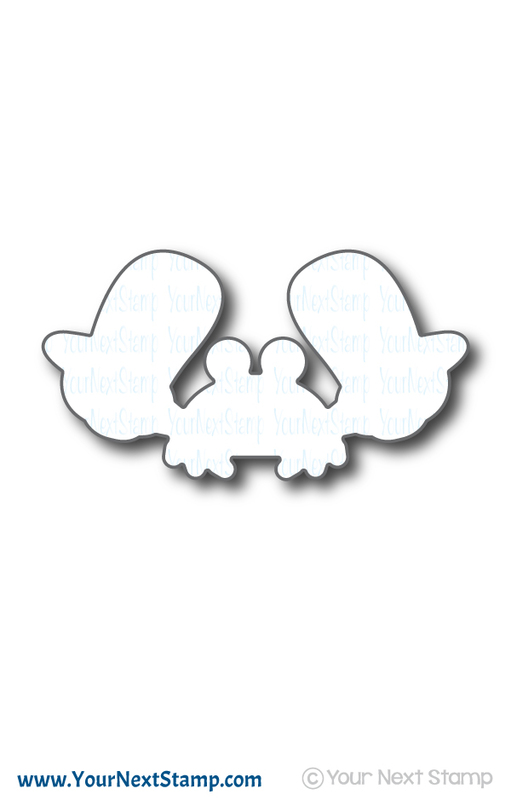 They are perfect for gift giving along with using them as a focal point on your creation. For my creation, I made a tag for any occasion. I started with some patterned paper from Basic Grey's Soleil collection. Using Sketchy Flowers, I stamped the larger flower with Memento ink in Dandelion and stamped the matching sketched flower over that in Cantaloupe. The center was made using Cocoa. The smaller flower was made using the same technique in pink tones.That flower was popped up over the larger one that was adhered down flat. I fussy cut the flowers and leaves out to place on the tag. It was finished by adding a sentiment from Simply Said onto a fishtailed banner and added to the center. Some ribbon completed the look to match the color scheme. We hope you are able to join us in this weeks challenge before a winner is chosen from the link you uploaded your creation to. You have a chance to win a TCP gift certificate. Thanks for stopping by and hope you have a great week! It's this months Feature Day with Your Next Stamp and the theme is water or water coloring. I had to pull out the ever cute and fun set of Fishy Fun that screams for some water colors. Using the color combo of greens and yellows, I created a background to mimic an underwater peek with the turtle diving. The bubbles were made by using the bubbles from the plant stamp in the set and adding a bit of blue water colors to it. Once dried, I added some drops of water to accentuate the "water" effect and then finished it off with more water splattered onto the paper. Some gumdrops were added for some additional color on the water droplets. The sentiment was stamped directly onto the panel, some twine added, and attached to some patterned paper from Basic Grey. 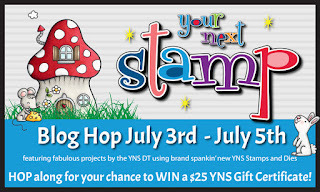 Be sure to stop by the YNS blog to leave some love for your chance to win a stamp set of your choice! Thanks so much for stopping by and have a great Sunday! Christmas in July - TCPTUES318 and a SALE! It's the second week of TCPTUES318 and the challenge is Christmas in July! What better way to get a jump start on your Christmas cards? I know for me, this was my first for the year. Using the set of First Christmas. These images crack me up with the naughty girl throwing those snowballs at her friend. Obviously trying to surrender. :) The images were colored with Copics and using the snowflakes in the set, I heat embossed them using a goldish glitter EP. The sentiment was stamped directly onto the card base. I always like a lot of white space in holiday cards, so this CAS look fits the bill. Speaking of this holiday talk- there is a FANTASTIC sale going on right now with The Cat's Pajamas! It's the Christmas in July Sale! 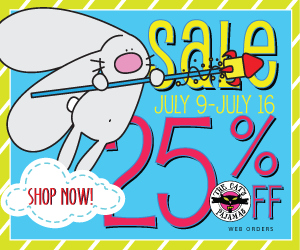 Shop now for 25% off your order. The sale lasts until 16 July and this is the time to stock up on your favorites!! Thanks for stopping by and hope you have a great Tuesday! Have you played along in the YNS challenge? Head over to the YNS Blog to see the newest challenge and how to link up so that you can have a chance to win. This weeks sketch and color combo is fantastic! For my card, I am using the current sketch and the sentiments from Cool Tag Banner Sentiment set. Using some patterned paper from EP, I created the background to follow the sketch. 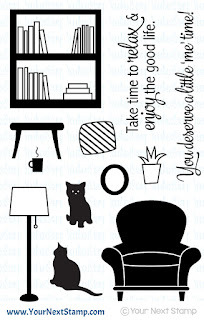 Because the paper is already fun and busy, I felt using an image would get lost, which is why I used a sentiment. To finish the look, I added some fun Wink of Stella in clear over each white balloon for some fun sparkly and finished the look with some various gumdrops. Simple and fun! Don't forget to see all the fun creations some of the DT members have made over at the YNS Blog! Thanks for stopping by and taking in a peek! Have you joined along in this month's new release blog hop for YNS? Weren't the creations fantastic? Well, it is not stopping there! The design team have created more awe-spiring projects using items from this new release to get your creative mojo flowing. This month's dare is to Frame it up! A perfect dare since YNS has so many fun dies perfect for framing an image. 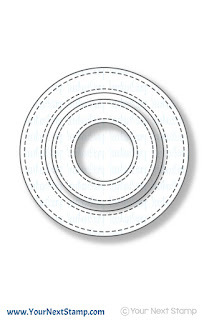 In this new release, there is the new Stitched Circle Frame die perfect for so many ideas. For my card, I am not only using the new circle frame die, but the darling Waddles Beach Fun stamp set as well. Using some patterned paper from MFT, I used the Stitched Rectangles die set to cut the main layer and over lay that with the Stitched Circle Die and Waddles image, cut out using the coordinating die set. 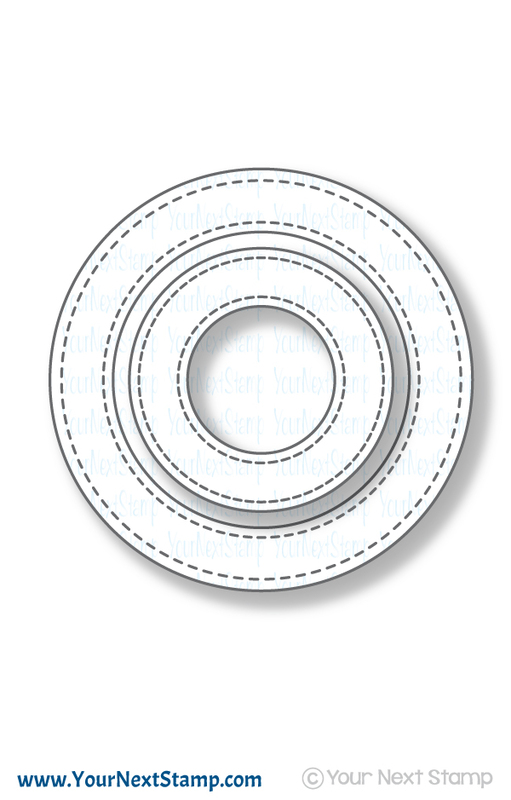 Also used and cut out from the set is the sun, which is popped up on the circle frame. The image was colored in with Copics while the sentiment was stamped directly onto the panel. I finished the look with some matte gumdrops and those darling mini images from the stamp set of a crab and starfish. 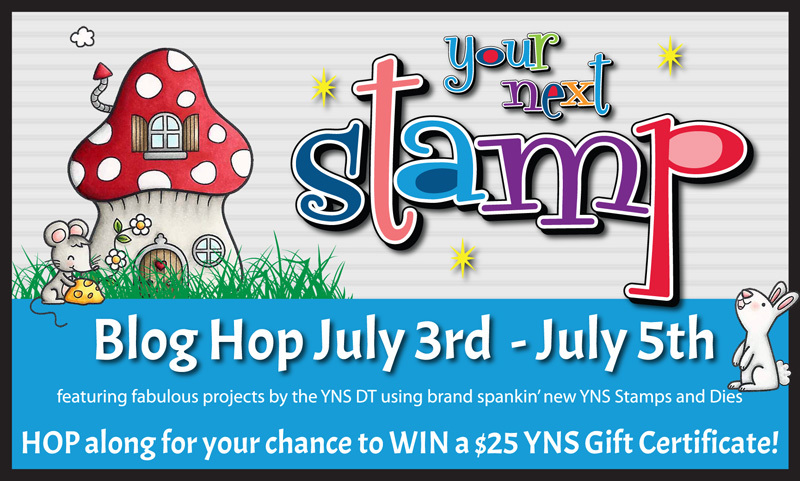 Be sure to stop by the YNS Blog to leave some love and for your chance to win a stamp set of your choice!! Thanks for stopping by to take a peek and hope you have a great Wednesday! It has arrived! The July release and blog hop for Your Next Stamp! 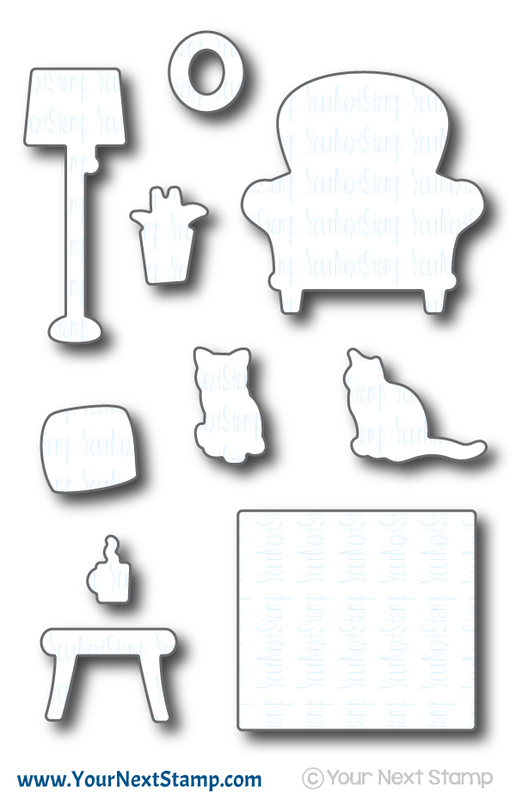 This release has so many fun sets and dies to boot that you will surely just want to order the whole lot. These releases just keep getting better and Karen does not disappoint. I was trying to get the worn in look of leather on the chair using some watercolors and distress inks. I think I may a little ways to go to perfect the look, but overall I like it. The lamp was paper pieced using some light blue patterned paper while I used some Copics and Spica pens for the mirror. 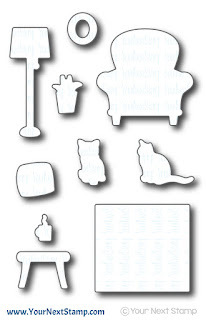 I popped up the chair, table, and coffee mug for some dimension cut out using the coordinating die set. The patterned papers used are from AC and the look was complete by adding the sentiment across the bottom. First my disclaimer... I promise I did not stamp this on the crooked side. LOL! I think I may have taken the picture at an angle and didn't quite catch it while editing. So trust me when I say it is straight. :) The background paper is from MFT's watercolor collection and the books were colored in with Copics. I popped up the plant cut out with the coordinating die and stamped the sentiment directly onto the panel using two colors. I completed the card with some matte gumdrops. Now before you hop off to the next member to leave a little love so you have a chance to win, don't forget to keep in mind the awesome deal waiting for you during this release - 20% OFF your entire purchase! This is an awesome deal and one you do not want to pass up! You will be able to check off all those you want on your list! Thanks so much for stopping by! 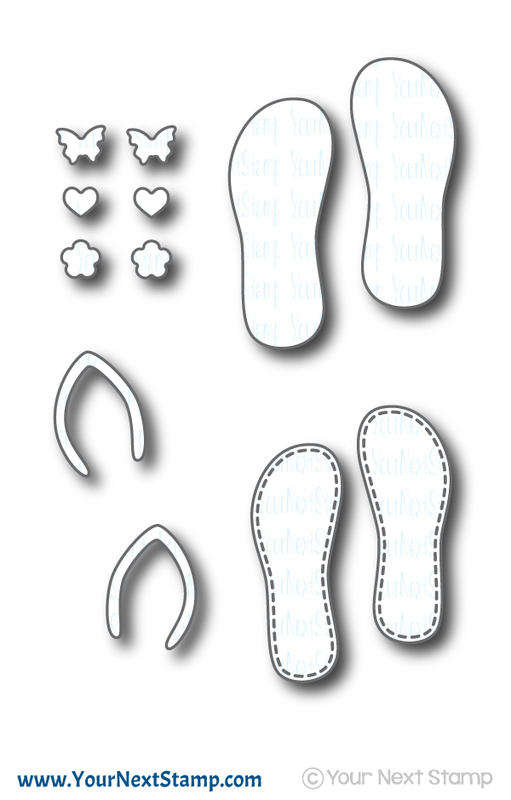 It's time for sneaky peeks with Your Next Stamp! The July new release will not disappoint and there is much to love. As always, get your list ready as you take a peek at all the DT creations. 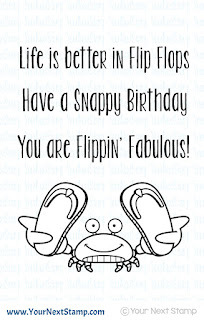 For my peek today, I sharing with you a set called Flippin' Fabulous. This is so fun and so perfect for Summer. 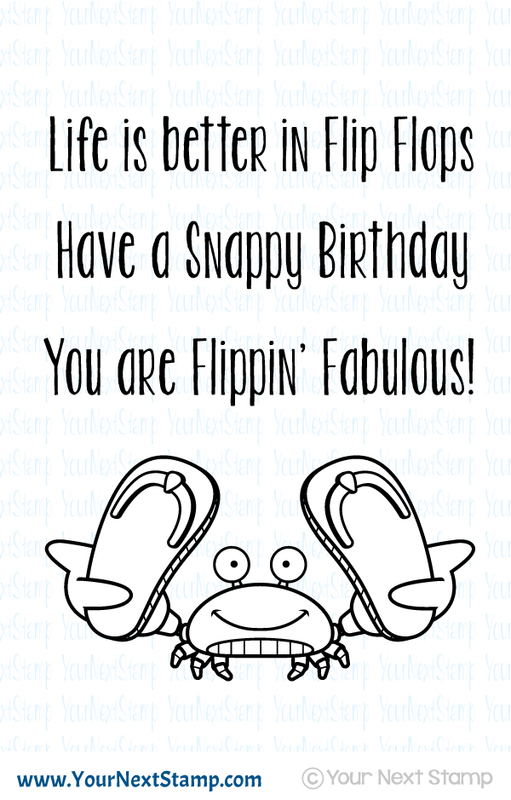 I paired this cute little guy with the new release die called Flip Flop. I stamped the image and colored him in with Copics. 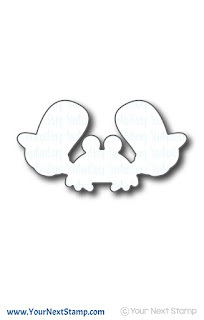 Using the coordinating die, I cut him out and then hand cut the claws and flip flop out of the image. The flip flops were replaced with the die cut flip flops and the claws re-attached so that the whole thing could be popped up and look like he is handing them to you. :) This was all placed over the soon to be released stitched circle frames. The patterned paper is one from Little Yellow Bicycle that I have had for some time. The look was finished with making the sentiment piece fishtailed, popped up, and completed with some matte gumdrops. Be sure to stop by tomorrow for release day and the monthly blog hop for your chance to win! Thanks for stopping in and hope you and your family are enjoying a happy and safe 4th of July weekend!